نوع را از بالا انتخاب و سپس بر روی افزودن به سبد خرید کلیک نمایید. JAPANESE STYLE PULL SAW: This product is a “Pull Saw” .What most people are used to are European saws, which cut materials via pushing, thus are called “push saws.” On the other hand, Japanese saws cut materials via pulling and thus are called “pull saws,” which is what this product is. 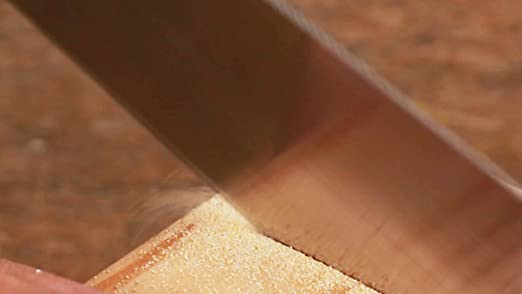 In comparison to “push saws,” “pull saws” are lighter in weight, requires less power, and the resulting edge is cleaner. HIGH QUALITY JAPANESE STEEL:0.0047 inch Blade and best handling size for highly precision work / Consisted of top quality japanese steel.